Location, Location, Location, 30 +- wooded acres on a paved road. Fantastic property for a home site with the ability to hunt in your own back yard. 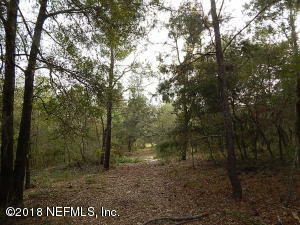 This property is high and dry with large oaks, pines and variety of wildlife including deer & turkey. Convenient to Palatka, Gainesville, & Jacksonville.